What to say about me, I don’t know how I would define myself. I’m someone who love digital media, and I’m a jack of all trades so to speak. 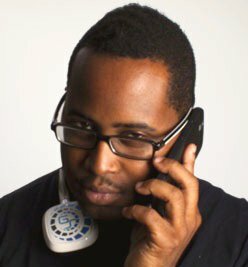 I’m a web producer (designer, consultant, marketer, publisher) and I live in Bronx, NY. I build web sites for clients, as well as publisher of a couple of web-based publications. My company is called Versatile Media Group, part service company, part publishing. I am the creator and Publisher of G Style Magazine. I also work as an Infrastructure Technician for a London based company who now has operations in New York City. I normally work and build web sites for people just like me. I try to help small business owners and start ups by keeping the cost down for building their web sites. By doing this I help those who have a dream of owning their own business, not having to worry about paying such a high price to get their presence on the web, and at the same time provide them with high quality work, contradicting the phase “You get what you paid for”. In addition to projects directly coming out of my Versatile Media Group company, I also have my hand in other projects with other companies. G Style Magazine is a digital publication about consumer electronics. It was created out of my love for gadgets and technology. G Style Magazine reports about consumer electronics but from a fashion angle to it. G Style caters to the type of person who would accessorize their electronics as they would a item of clothing. This is the person who wants a gadget not because of all it can do, but because it is something that is trendy, stylish, and fashionable. VMS Photography is about digital photography. This is where I house my hobby for photography, here you can check out some of my past & latest work. Many of the shots that you might see on G Style Magazine or other projects I do come from VMS Photography. It is good to have a in-house photographer!